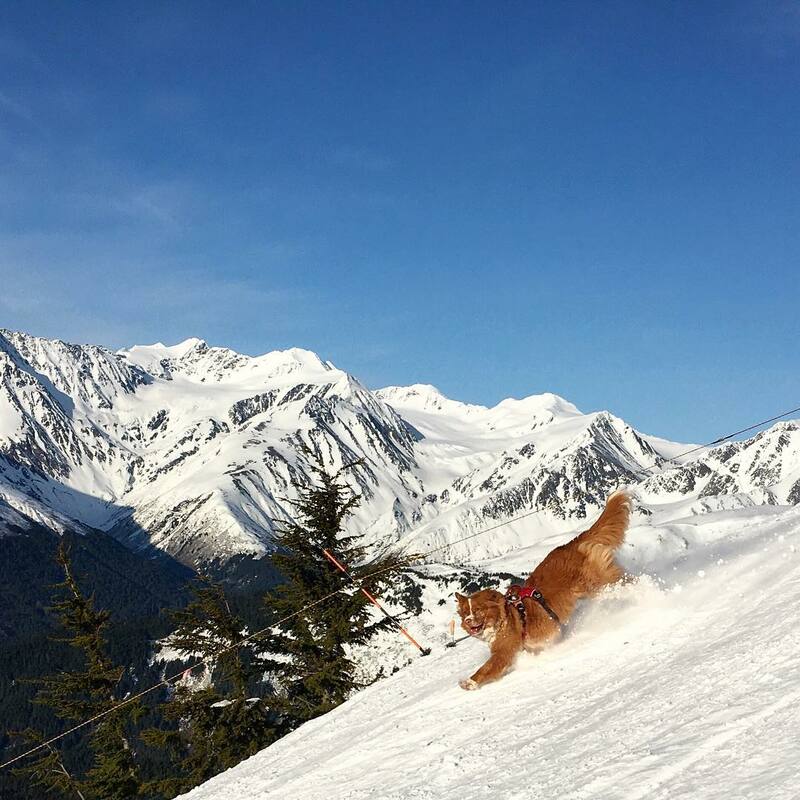 Alyeska Resort is ranked No. 7 in North America for its total snowfall during an average season. Did you get out for opening weekend? 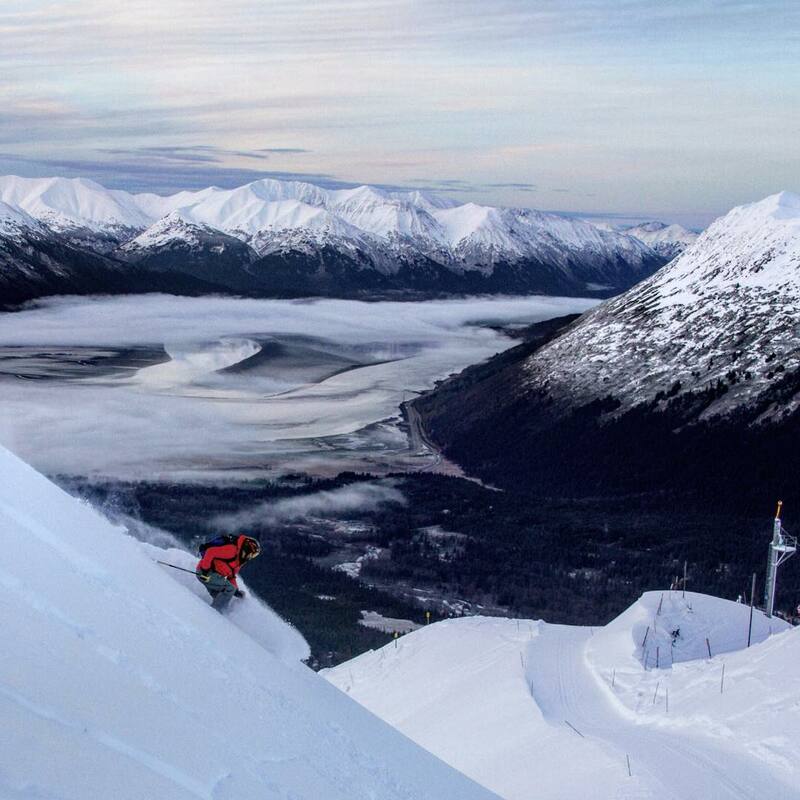 @oakleyalaska did and the shredding was super fun! 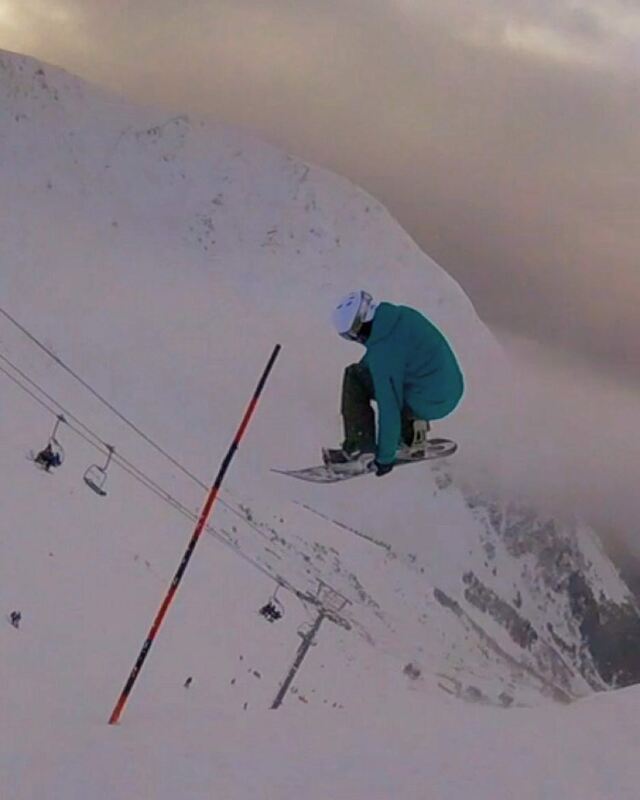 Alyeska athlete @leifmumma sending it in Knuckles...One of the best days of the season today! 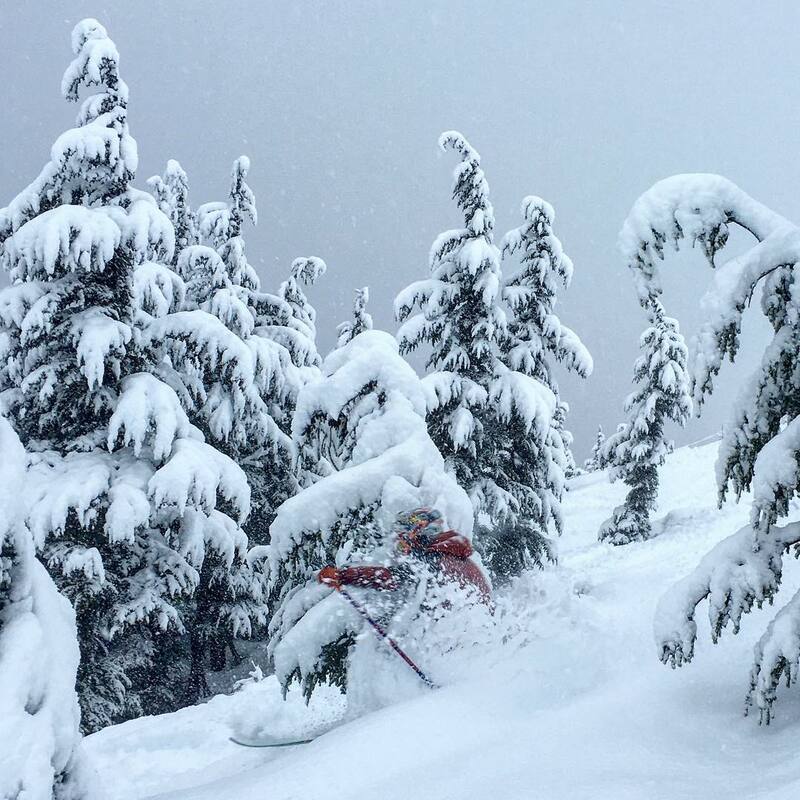 Fun fact for today: We've had only 6 days in January without measurable snowfall...it just keeps piling up out there and today the storm skiing was fantastic! 20" in the last 24 hours 461" since October 1. It snows here. Often. Often enough that an average year features 50 feet of snow. For those who haven’t seen 50 feet of snow, book a flight to Anchorage. 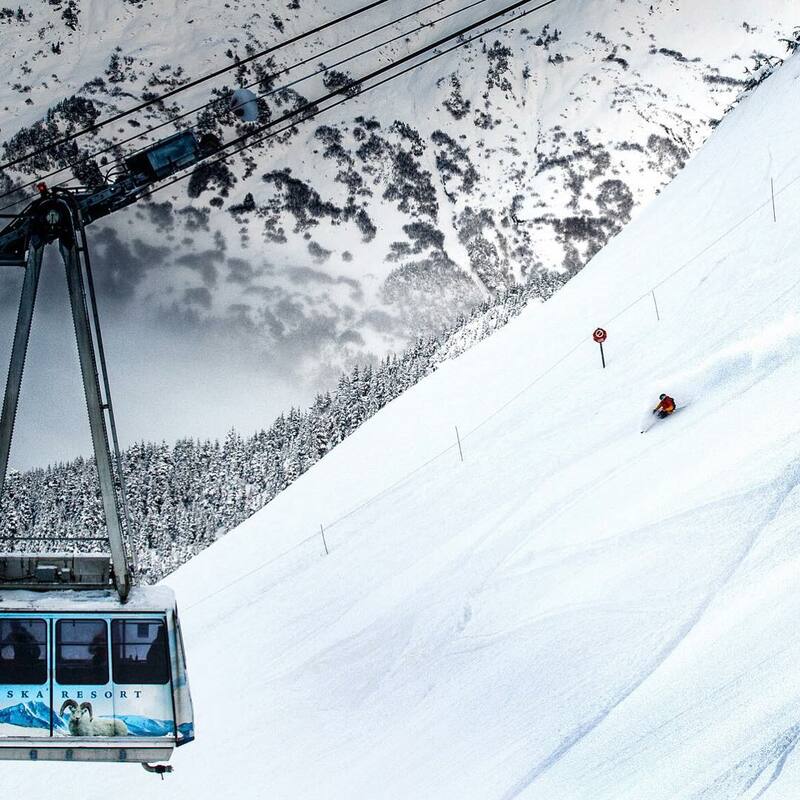 The slopes here feature a panoply of different terrain, and the lifts are world class and include a tram and a small collection of high-speed detachables. 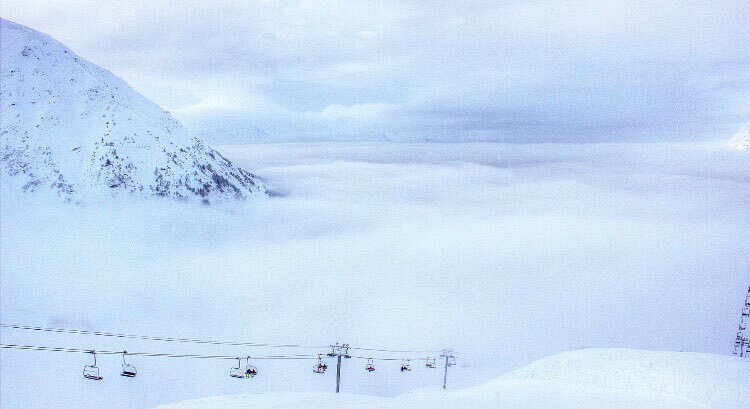 The snow here isn’t of the same delectable moisture content as that of the copious drifts of Utah, but Alyeska receives the driest snow of any area near the Pacific Coast. The base of the resort is basically at sea level, and the Cook Inlet dominates the horizon to the south and west as skiers ascend the mountain. The low altitude-big snow combination is unique to Alaska. 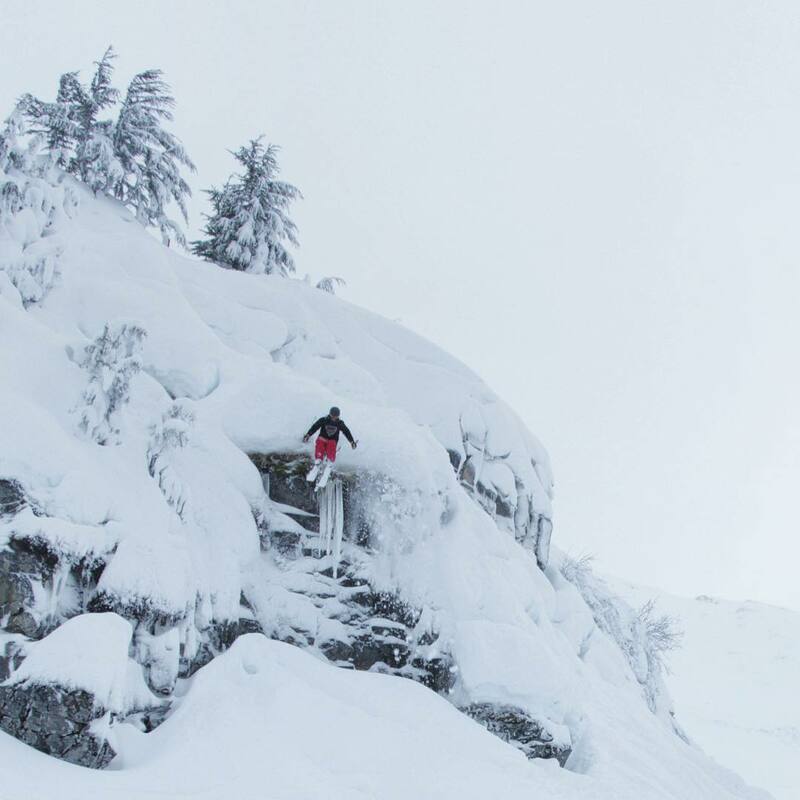 The low altitude makes for an anomalously restful first night of a ski trip, not to mention making hikes and strenuous bump runs 30% easier or so than they might be in Colorado or Utah. 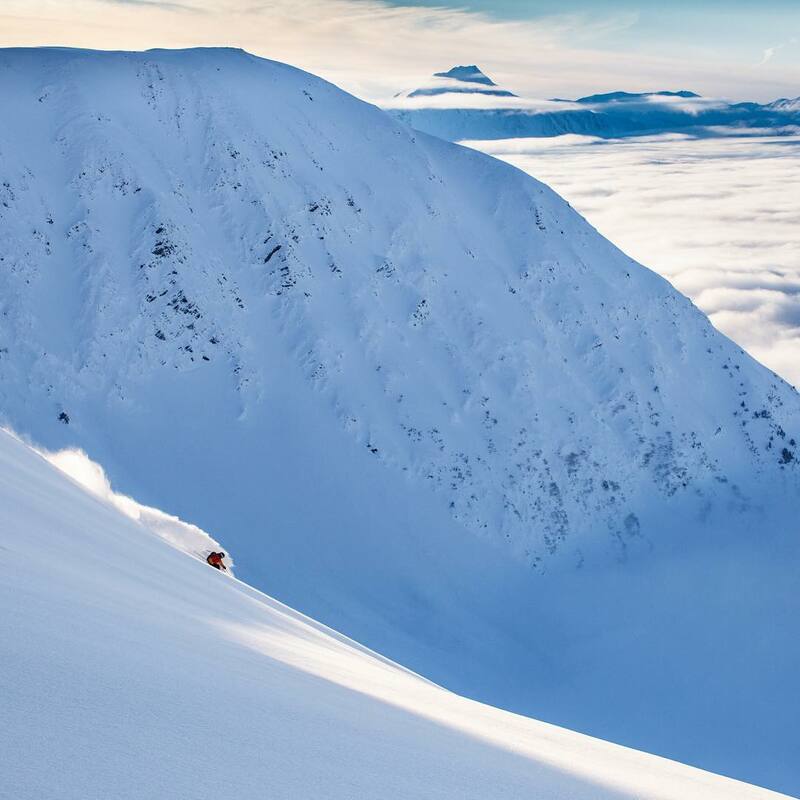 Alyeska’s skiing can’t be fully discussed without mentioning the heli and cat skiing options that are available, literally out the backdoor of the resort. 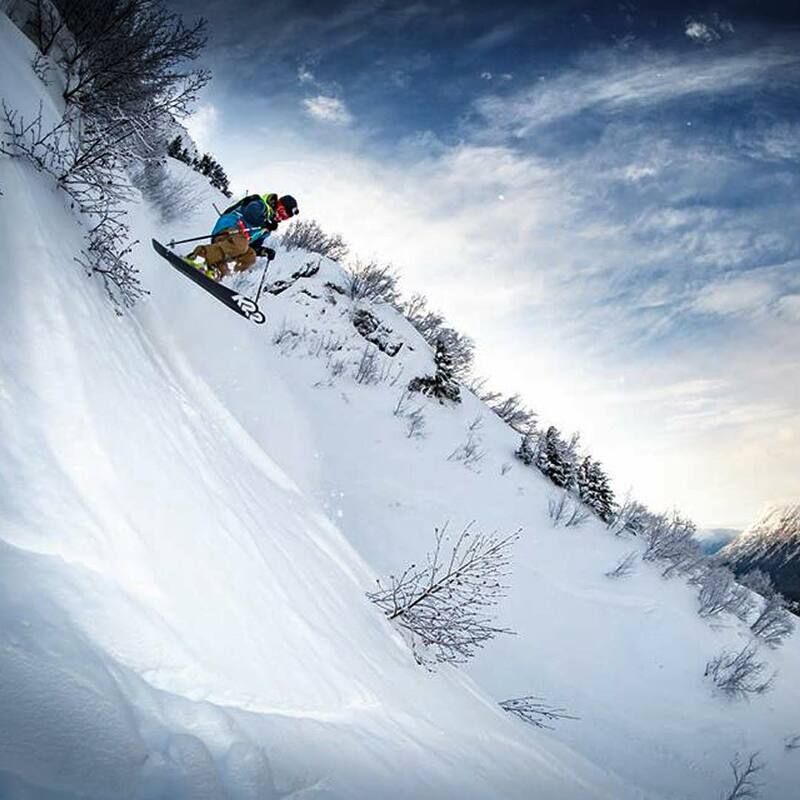 The Chugach Powder Guides take people right from its permanent desk in the Hotel Alyeska. Weird. Alaska’s weirdness quotient is higher than that of any other state and Alyeska can’t escape this inherent trait. There are a few bars and restaurants, but don’t seek anything else. You’ll only find ice floes, whales and trees. And that’s just fine. Hotel Alyeska. It has no rivals on this mountain. 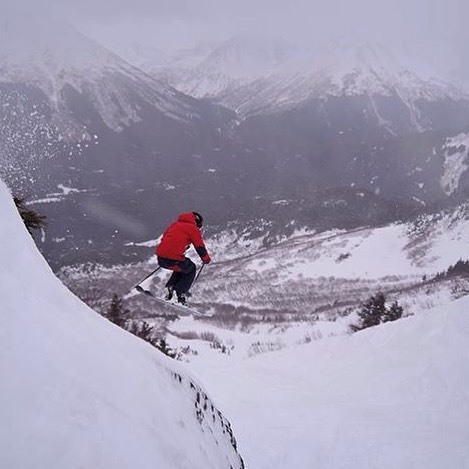 Alyeska’s main basin is usually well covered in early season, but the rugged and steep North Face can take more time. 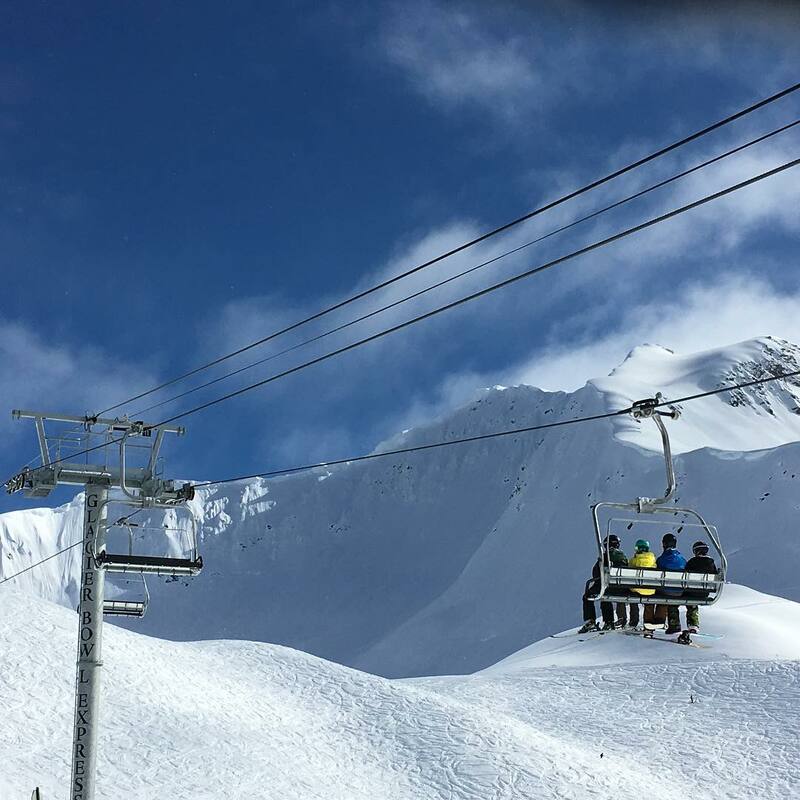 Destination visitors rarely come to Alyeska before February due to the limited daylight hours. In the absence of rain, snow preservation can be excellent, with sun strength at high latitude in late March being comparable to mid-February in the Rockies. 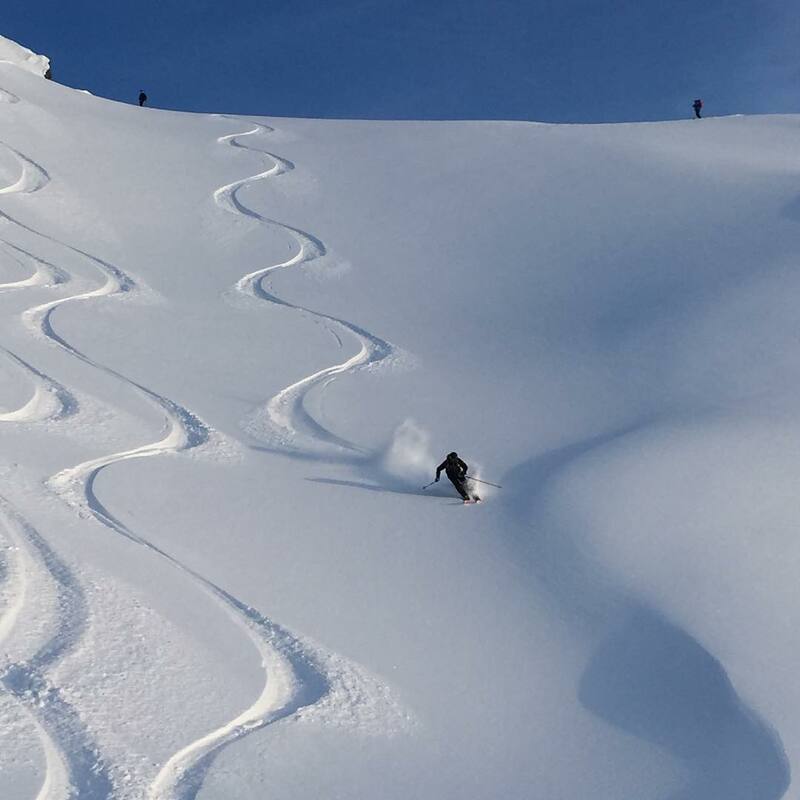 March and April are also the optimal months for Chugach Powder Guides helisking at Alyeska, as well as numerous other heliski operations elsewhere in Alaska.